Lock in a great price for Habitas Tulum – rated 9 by recent guests! Everything was amazing, staff were so friendly, super clean and comfortable and a great location. Bed was amazing and so comfortable. Very clean and loved the outside shower and bathroom. Rooms were huge and the whole location was very secure and safe. Pool area and beach was amazing and Intimate, without the walk ins like other beaches down further allowing you priority and better relaxation. The pool, the beach, staff and the restaurant was really good. Loved the location, the rooms were beautiful and staff was friendly. We loved the yoga and sound baths offered. The restaurant was amazing. Location is nice but a little far from the shops/restaurants but we didn’t feel the need to leave because the hotel was so great! Second time returning to this property. Loved it so much that I had to return with some friends. "Glamp-ing" at it's finest. Beds were so comfortable, nice touch with the organic toiletries. All the staff members were friendly! Sunrise and rooftop yoga is a must. The resort was beautiful, spa services were wonderful, and the food was amazing! I would highly recommend. The concept of the tents on the beach with all the facilities is really good but as for the beach, you can find better options in tulum. The property is gorgeous. So nice and romantic. Very hip and well designed. Would definitely recommend it! Loved the included yoga every morning. Perfect mix of things going on, but quiet peacefulness too. The staff was absolutely amazing! Incredible service! Accommodations, staff, food and drink was amazing!! 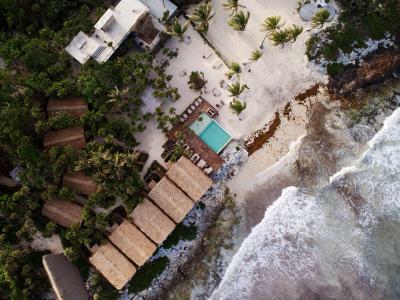 One of our top picks in Tulum.Located in Tulum in the Quintana Roo Region, 2.2 mi from Tulum Archaeological Site, Habitas Tulum features a year-rond outdoor pool and a private beach area. Guests can enjoy the on-site restaurant. Habitas Tulum is an Eco-resort hotel. For your comfort, you will find bathrobes and free toiletries. Habitas Tulum features free WiFi throughout the property. 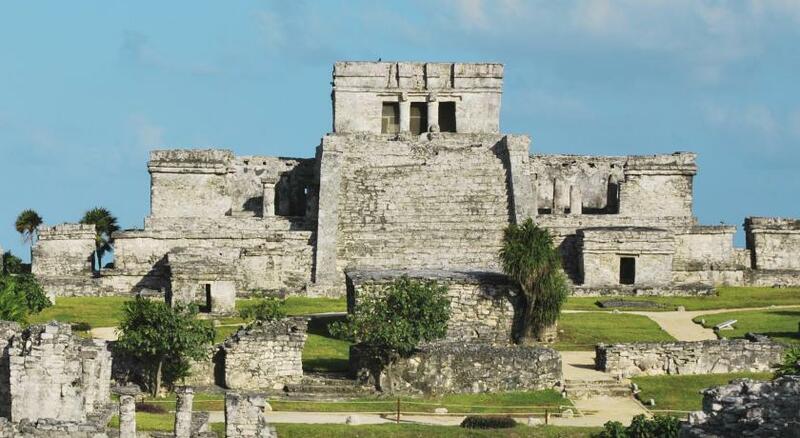 Parque Nacional Tulum is 1,300 feet from Habitas Tulum, while Tulum Bus station is 2.2 mi from the property. The nearest airport is Cozumel International Airport, 40 mi from Habitas Tulum. 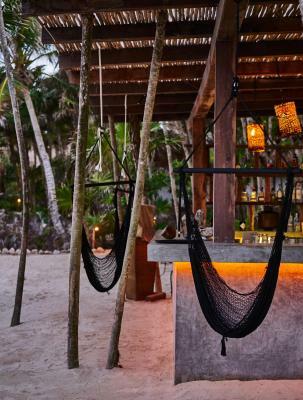 When would you like to stay at Habitas Tulum? This double room has a balcony, bathrobe and private entrance. This double room has a balcony, private pool and seating area. 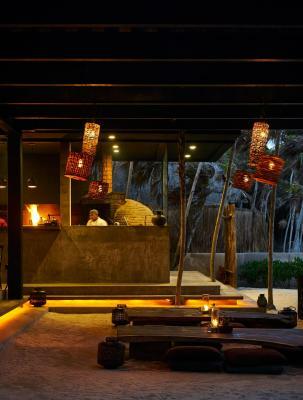 House Rules Habitas Tulum takes special requests – add in the next step! Habitas Tulum accepts these cards and reserves the right to temporarily hold an amount prior to arrival. Habitas is a global home for a global community. All hotel guests will be enrolled in our Friends of Habitas community upon check-in. The Friends of Habitas community fee is $25 per year, of which the first year is waived. The beach side villas were perfect. Best accommodation I’ve stayed in a long while. Air conditioning wasn't great, a bit noisy and rattled and would only work on high setting but not a big deal at all. The toilet and shower was outdoors and it got a bit slippery when wet. We had a cold shower most days. Also they force you to sign up for a membership at $25 a year. The food is perhaps the most underrated bit - delicious! It is expensive- but everywhere in Tulum is expensive! The hotel is beautiful, calm and super relaxed. The setting is amazing and the staff were lovely. We would definitely stay there again. Everything! Super clean gorgeous place and amazing food! Restaurant and poolside service was sometime slow, but when attentive, they were great.